Recently, the National Institute for Health and Care Excellence in the UK published a consultation document in which it suggests that the threshold for treating people with statins should be lowered. Currently, doctors are advised to consider treatment for individuals who are calculated to have 20 per cent or more risk of developing cardiovascular disease over the next 10 years. NICE is proposing that this threshold is reduced to 10 per cent or more. We already know that statins simply do nothing for the vast majority of people who take them, and this situation will only worsen if people at lower risk take these drugs too. But we should not forget that the risk of adverse effects from statins comes in at around 20 per cent of people. I wonder if perhaps the nice people at NICE have perhaps taken leave of their senses. But even if we accept the idea that the risk threshold is lowered, how is ‘risk’ assessed, and how accurate are our predictions? QRISK2 (the most recent version of QRISK) is a prediction algorithm for cardiovascular disease (CVD) that uses traditional risk factors (age, systolic blood pressure, smoking status and ratio of total serum cholesterol to high-density lipoprotein cholesterol) together with body mass index, ethnicity, measures of deprivation, family history, chronic kidney disease, rheumatoid arthritis, atrial fibrillation, diabetes and antihypertensive treatment. Recently, someone tweeted me about the potential problems with QRISK2 and other predictor tools. This led me to a paper published in the British Medical Journal in 2010 that assessed the accuracy of QRISK2 as a cardiovascular disease risk predictor. Below is an adaptation of figure from this study that graphically represents the performance of the QRISK2 predictor. The two figures in my adaptation represent women to the left and men to the right. The yellow rectangle represents people with cardiovascular disease. The purple rectangle represents people deemed to be at high risk according to QRISK2. 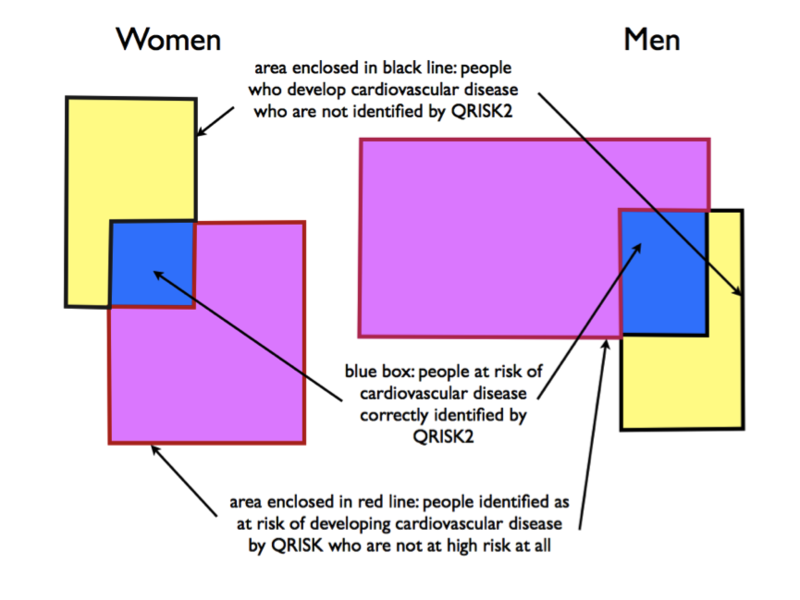 In the ideal world, the purple rectangle would sit exactly over the yellow rectangle (which would mean that QRISK identifies all people at risk of cardiovascular disease and does not label as ‘high risk’ those who are not). 1. QRISK2 actually only accurately identifies a minority of people at risk of cardiovascular disease. 2. Identifies many people as being at risk who are not at all (with the potential that they will be exposed to unnecessary treatment and possible adverse effects). In other words, QRISK2 does a lousy job. And this is the tool NICE recommends doctors use to make decisions about our care, and particularly whether or not we are good candidates for a statin. Quite frankly, it’s just not good enough. 23 Responses to How good is the tool doctors use to predict who should be treated with statins? Cholesterol is not an atherogen and is not responsible for the growth of athersclerotic plaques found in the endothelial layer of the arteries. Imai and chums managed to establish with some clarity cholesterol contaminated with oxycholesterols induced the athersclerotic changes when fed to rabbits where the addition of pure cholesterol did not.The same result was also recreated in monkeys. There are three possible oxycholesterols. Cholestane triol is one of the three oxycholesterols and distinguished for having three atoms of oxygen added. Cholestane triol numbers amongst the most potent atherogens known to man. In broadly the same era Dr Kilmer McCully began to suspect homocysteine could convey atherogenic properties and has spent a lifetime researching arteriosclerosis and homocysteine metabolism. Current thinking is that homocysteine has the capacity to convey oxidative stress to cholesterol, and that once contaminated with oxycholesterols amongst their components lipoproteins then convey this oxidative stress to certain cells. By being, in a sense, alien to the enzymes they may encounter, oxycholesterols are toxic to the cells and alter their expression. These changes that arise under the stress of toxicity result in the formation and proliferation of foam cells, so the theory has it, and the proliferation of foam cells is an aspect of the process of endothelial deterioration we see as arteriosclerosis or fatty streaks – hardening or narrowing of the arteries. Cholesterol is caught in the crossfire. In the end arterial disease is not at all like mutton fat accumulating and blocking the kitchen drain. Instead the process of oxidation results in a decline in structural integrity ‘of the material (tissues) of the pipe itself’. A comparison with rusty brake-pipes on an automobile would be more apt. The decline in structural integrity of the pipework is likely to fail you catastrophically and just in the moment you need it to hold up. Of course, cardiovascular disease is a multi-factorial condition, the risk factors are several,>/i> .. so they say defensively when you attack their pet hypothesis involving the supposed atherogenicity of cholesterol and LDL. Yes, but the multiple epi-physiological risk factors such as stress, obesity, smoking etc., must converge upon a common physiological pathway that reaches those afflicted cells in the endothelial layer if they are pertinent. I find the notion of a an axis and chain involving cortisol, homocysteine, and oxycholesterol can be linked intelligently with the risk factor approach. It holds promise. In the end there is not a shred of evidence that holds up and supports the idea that saturated fat in the diet raises cholesterol and cholesterol causes heart disease (really arterial disease). The idea is all fiction. Only the financial aspects of the horsetrading it supports are real. Anybody (or party) who contains to advocate mass as-statin-ation has indeed taken leave of their senses if they cannot see the pertinence of the work of Imai and others. I wonder if the mental health act could be applied, clearly their delusions are a danger to others. I’m in a quandry; at age 64, but fit and eating healthily, my blood tests show high cholestrol (9.5) and high blood pressure. My doctor has prescribed statins. 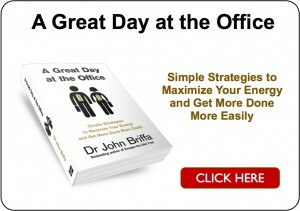 Thank you Liugi for the info re Peter Attia’s website – very informative and helpful! You could ask your doctor to find the real reason why your body needs somewhat more cholesterol. The body produces normally only the amount of cholesterol that is needs and no more. If you have any other kind of health problem such as psoriasis, eczema or similar that could very well be the reason and you would not benefit from statins. if you were at risk of a cardiac event the blood test for cholesterol would not reveal it. High blood pressure may be a risk factor for heart disease but again BP may be an effect witnessed in association while not being directly causally related. The fat/cholesterol hypothesis is complete nonsense because it is oxidative stress that advances the condition and not cholesterol. Ring around to find a practice that may have emerged from the dark ages. Enquire if they can test for homocysteine and markers of inflammation – C-reactive protein (CRP) is sometimes used. results for homocysteine and CRP may help a suitably informed medical practitioner gauge your risk. 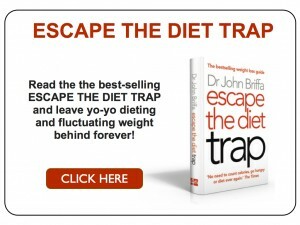 Buy full-fat choices, do not be fat phobic, and if you rely heavily upon starchy foods simply ease back. Give yourself 9 – 10 hours sleep per night and ‘Earth’. So is you are not sure what earthing is seek out the book (Ober Sinatra & Zucker) and take in what these guys have to say. Sleep, and earthing, will help normalise cortisol, normalised cortisol takes pressure off homocsyteine, and with homocysteine levels down there is much less oxidative stress conveyed to cholesterol. As a GP practitioner for thirty years wrongly advocating high carb low fat diets to my unsuspecting patients I have to confess that we all overlooked the FACT that we have been incorrectly advised by our teachers. It is the high carb ingestion since the 70′s and 80′s which is greatly responsible for the enormous increase in obesity, type 2 diabetes, hypertension and “cholesterol” problems this world now sits with. You can survive much longer on high (good)fat diets, with less hunger pains daily, loose weight, lower your BP, glucose and “bad” cholesterol, and ultimately lower your risk for cardiovascular disease. I would advise to go as low as 50 gram of carbs per day. Normally I totally agree with your philosophy but surely we are talking about risk here and not fact. The people in the ‘purple’ rectangle have been identified as being at high risk of cardiovascular disease by qrisk2, but by definition, not all of these people will actually get CVD. If you have a 20% risk of getting CVD, then, of all the people in the same group as you, 4/5 people WON’T get CVD (and stay in the purple triangle). As such, you’d expect the purple triangle to be much larger than the yellow one. In other words, the purple rectangle would never fully overlap the yellow one – qrisk2 is a risk predictor and not an absolute predictor. Additionally, even if you have a 1% risk of CVD in the next 10 years, 1 person out of 100 in that group will develop CVD (and 99 people won’t). I think that you should read the captions more carefully. Only those in the blue rectangle are actually at risk. QRISK2 requires that far more people are treated when they are not at risk, while at the same time requiring that a large number actually at risk are not treated. This suggests, strongly, that the criteria used are not ‘fit for purpose’. 1/ Purple area / red line: QRISK says you are at high risk, but in reality, you are not. This would be because some of the variables that make up qrisk are wrong e.g. HDL/cholesterol is, in reality, not a risk factor for CVD so having a high ratio is meaningless and would wrongly classify you as high risk. 2/ Blue Area: Some of the factors that qrisk uses ARE related to CVD, so having one of these risk factors is important to know about. 3/ Yellow area / black line: These are the people who actually develop CVD AND qrisk wouldn’t classify them at high risk. My point was the blue area is saying people are at high risk (but haven’t developed CVD) but the yellow area is saying people actually have CVD but qrisk didn’t pick it up. In reality, the yellow square should be divided into ‘people who have CVD but qrisk didn’t pick this up’ and the blue square ‘people who HAVE cvd and qrisk DID pick it up. The purple square / red line would then be people who DIDN’T develop CVD but qrisk classified them as high risk (not everyone who is high risk would develop the problem – 20% risk, 1/5 would be in the blue square, 4/5 would be in the purple square / red line). The captions to me (and the Venn diagram) as it stands, doesn’t make sense because it’s confusing risk (predictor of CVD) with fact (actually develop CVD). As I understand qrisk2, it derives it’s numbers from doctors in the UK who submit information about patients. Some of these patients will have CVD and others won’t. If the majority of patients who develop CVD have a low HDL/cholesterol ratio (for example), then qrisk can model this accordingly e.g. ‘Our figures show that if you have a low this or high that, you have a higher than average risk of developing CVD. This isn’t a cause, just an observation’ As such, take a look at your lifestyle’. Dr Briffa is right in saying that statistics are not a good reason to start medication however. Treating the risk factor rather than the cause may or may not work e.g. lowering cholesterol rather than trying to determine why cholesterol is raised and treating that. I have high BP and I’d prefer to know why it’s high rather than artificially trying to lower it. It could be my high BP is normal for me genetically or I don’t exercise enough. Speaking to my GP, a 155/95 BP means my blood vessels are collapsing from inside, being stretched to their elastic limit and that I’m going to keel over with a stroke unless I get medication. A worrying diagnosis from a professional and, unfortunately, a reason to mistrust the medical profesion. I just don’t believe that a 64 year old me is facing only a 1.3% increased risk of heart attack or stroke if I go from 11st to 22stone!! Astonishing. This calculator is not fit for purpose and SHOULD NOT BE USED. You may be right (and I wrong) about the over-lapping rectangle point. 1. QRISK2 fails to identify most people who are destined to go on to develop cardiovascular disease. 2. Most of the people identified as ‘high risk’ by QRISK2 do not go on to develop cardiovascular disease. Not a good tool, and yet we doctors are encouraged to base our treatment recommendations on it. It’s point 2 that’s the most important part. I suppose the overwhelming issue is (and I’m in this as I have high BP and high LDL) – should I be taking drugs prescribed by my doctor because I have a 95% chance of NOT getting CVD in the next 10 years (I’m under 45 so age is on my side) – according to qrisk. If I do take the medication, does this then mean my odds are better in the next 20-30 years? No button in qrisk that says ‘Have to been taking medication over the last 10 years’? Medicine has moved from drugs that ‘cure’ to drugs that ‘prevent’. How do we, as patients, deal with this? It’s easy to see if something cures something. It’s much more difficult, especially over a long period of time, to show something ‘prevents’ something – with certainty. Fibrin is highly associated with grazed knees and elbows so using the ” cholesterol causes cardiovascular disease” THEORY (dogma) surly we should have an anti Fibrin drug to prevent grazed knees and elbows. In fact why don’t we sack half of all paramedics as they are highly associated with road traffic “accidents” and so using the ” cholesterol causes cardiovascular disease” THEORY paramedics MUST cause road traffic “accidents”. No better still and more in tune with the use of statins to suppress cholesterol production, why don’t we set up sniper teams to shoot paramedics on sight. After all what does it matter if you have 20% collateral (civilian) damage. With reference to the last comment, apart from antibiotics, and similar, what drugs have there ever been that cure? Also Tania, just out of interest, is your healthy diet based on what the NHS and government recommend, ie the laughable “eatwell” plate, or do you follow Dr Briffa’s recommendations? Cholesterol is mainly found in fatty tissue. So while I am roasting my Sunday joint at temperatures up to about 200 Degrees C some of the cholesterol must undergo oxidation. What will this oxidised cholesterol do to my arteries? Will it ever get there or will it be converted to some harmless product in the digestive system? Should I avoid things fried in or with fat such as bacon, chips, etc and stick to things fried in oil? Presumably butter is ok as long as I don’t fry in it. Boiled but not fried eggs would be ok. Has much work been reported on the high temperature oxidation of cholesterol and its metabolism? The wider difficulty with all such measurements is that population statistics cannot sensibly be applied to individuals. I have distal disease and atrial fibrillation;my cholesterol, last time it was measured was 5.2, and I am overweight (and sadly not reducing much even following Dr Briffa’s excellent dietary advice, but I feel better for it…) BUT I don’t smoke, I take a lot of exercise, both aerobic and resistance training. I don’t have a family history of heart disease, generally I have a happy and fairly relaxed personality, I’m in a relationship, I have lots of positive activities – how do you calculate my personal risk? I think all that can be safely said is that it’s higher than the risk would be for someone who didn’t have distal disease or atrial fibrillation, and lower than it would be if I sat on a couch all day smoking…I’m an individual, not a statistic! I am a reasonably intelligent person who follows these discussions and as a result I am extremely sceptical of the “evidence” in support of more treatment to lower cholesterol. My problem is that, having followed the arguments when I have read them (here and elsewhere), I am unable to sustain an intelligent debate with my GP because I cannot retain the information sufficiently clearly to muster a strong argument. I am not asking for personal advice, but can anyone identify a “checklist” of the stages I should go through to ensure that the advice I get from my GP is appropriate for ME rather than the population in general? What are the key issues that should be tested for and how do I ask for them? look to comment #1 Robin, follow the link, download the PDF file, print it, take it with you when you go, place it on your GPs desk with dignity and humility, ask him what he knows about cholestane triol, and ask him on what basis should cholesterol still be considered an atherogen.